Or at least that’s what 90% of the people I speak to think when I tell them what it is I do for a living. 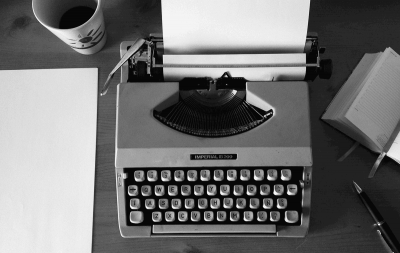 There’s a belief that copywriters are, first and foremost, creative types. That we sit around doing little more than waiting for inspiration to strike. And that once our creative juices start flowing we’re able to create copy that’s educational, emotive and effective. Because it couldn’t be further from the truth. I’ll admit good copywriting includes an element of art, a certain level of wordsmithing is a necessity to add a flair that helps hook attention and draw readers in with engaging prose. However, the creative element of copywriting is most definitely the minority. There’s no magic involved and no secret activities that give birth to the most incredible, high converting ideas and sentences the world has ever seen. Messages that convert don’t come from the creative recesses of a handful of people’s brains. They’re born of extensive research, knowledge of successful formulae and iterative testing. We are not artists. In fact, we’re closer to scientists in our approach. And we have been for quite some time. But What About Creative Copywriters? Generally speaking, there are two camps of copywriting. Direct response and the more creative brand advertising. Brand advertisers are the guys who come up with TV advertisements, full-page magazine ads and the like. The sort that are short on copy, but big on making an impression. Their aim is to exploit emotional triggers to present a positive image of the company so next time they’re in their local store they see the brand and associate it with whatever positive emotion they aimed to elicit. Budweiser highlights the company’s history and establishes the brand as a no-nonsense American beer for real Americans (a tact they continue to employ as demonstrated by their recent re-branding during the US elections). They’re establishing themselves as the key equipment provider for some of soccer’s biggest names, thus increasing their perceived value. They’re playing on the desire to be a hero by using real life heroes (in the soccer world), placing them in more relatable situations where the odds are stacked against them and showing how they overcome those difficulties. Brand advertising is a key component of modern marketing. We all know that trust and a positive impression of your business could be the difference between a sale and a prospect walking away. So yes, brand advertising and creative copywriting are needed in modern business. But they come with one major problem. 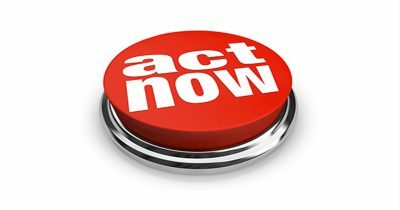 There’s no measurable call to action. You can’t run these ads and accurately measure how successful they’ve been. Was the increase in sales due to the advertisement itself or some external factor? Perhaps Walmart offered 20% off on Budweiser 10 packs. The surge in soccer jerseys was more likely caused by the impending start of the Copa America than the advertisement. There’s simply no measurable metric to understand the success of your advert, leaving you with one option, to hope. 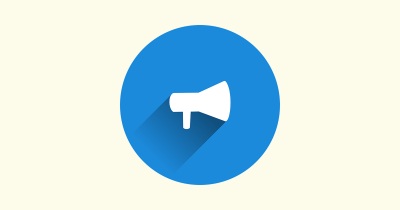 To hope your ad will resonate with your audience and bring an increase in sales. To hope your marketing spend will bring a decent ROI. To hope the results you see are related to the advertisement so you can accurately plan your future strategy. And as a savvy marketer I don’t need to tell you that hoping is not conducive to the continual improvement of your marketing campaigns. Good direct response and conversion optimized copywriting on the other hand, doesn’t leave anything to chance. They rely solely on research and results. There’s no subjectivity and a very little need to hope. Good copywriting is about knowing what works. Sure, I’ll admit that the formulaic approach to copywriting can become a little stale, but it works. It’s so successful in fact that it’s actually influenced the way in which brand advertisers run their campaigns. David Ogilvy, the godfather of modern copywriting believed every general/brand advertiser should study the world of direct response. The results driven approach might not be as artistically fulfilling as a wholly creative method, but it gets results. Which, when push comes to shove, is exactly what every business needs. What I’m trying to say is, whatever kind of copywriting you do, it needs to be research backed. Your primary job as a marketer isn’t to win awards or impress with a witty slogan. It’s to sell products and grow your business. You need to know, with zero doubt, what works in your industry and what will bring the highest return to you and your business. Sure, this might rob you of a little creative freedom, but when the trade off is the success of your project, campaign or even business, it’s one most would deem worthwhile. Stating the difference between scientific and creative copywriting does not make an article! Rather than leave things there, I want to outline some of the key practices you need to employ in your copywriting process (whatever kind of copywriting you do) to ensure you hit the mark and create messages that resonate with your audience and increase sales. This might be hard to hear, but it’s something someone needs to tell you. Your opinions on your business, product, and even your audience don’t matter. The only thing that matters is the opinion of your audience. You need to know exactly what they need, the pain they’re experiencing, their product preferences and the solutions currently available to them. Only when you know your audience and industry inside out and back can you create messages that appeal to their needs and desires. Sitting in a room and thinking up a witty slogan or message for your brand might feel like you’re being productive, however, it’s a message you think is great. You’re not buying your product, your customers are. There are literally hundreds of formulae out there to help you create compelling, high converting copy. There’s a wealth of information available to you that will make your job easier. You can directly copy a template like those in the headline formulae below (more examples in this awesome article). Or adapt more generalized advice like AIDA, the four Ps and the four Us. What I’m trying to say is that you don’t really need to do all that much. You don’t have to rack your brain or discover the latest and greatest way to sell to anyone. The hard work’s already been done in those areas. Extensive testing, surveys and research have already revealed the basic frameworks proven to best sell your product or service. All you need to do is adapt them to your particular business and product. Don’t be a fool and try to reinvent the wheel. Advertisers have been driving sales with the same formula for decades. They still work and, unless there’s a huge shift in consumer psychology, will continue to do so for the foreseeable future. Sure it might be boring to rehash the same tactics and formulae. But hey, it works. And when you’re trying to increase sales and revenue, nothing’s more important or interesting than the method that works. Good copywriting is not a case of set it and forget it. You can’t create one landing page, sales letter or email and continue to send it out en masse to your audience. It may well be a marketing masterpiece, but if you want to see continued improvement you’re still going to need to continually improve on your creation. That’s the secret to growing your brand. Never being happy with the current levels of conversions. There’s always something you can change; a sentence that can be tweaked, a term that can be more benefit focused or a simpler way to express your primary USP. I mean, even if you manage to achieve the impossible and create a piece that converts at 100%, how long will it continue to perform? Customer expectations will change and your masterpiece’s success rate will gradually decline. There will always be something in your copy that can be improved. You can never take it easy. You need to constantly track how your copy is performing and run A/B tests to see if there is any way things can be improved. If you want to grow your brand and see continual improvements you need to embody the motto of the conversion copywriter and “never settle”. Brand advertising, despite establishing a positive image is not specific. It’s great at eliciting emotion, leaving an impression and even creating a positive brand image but it does not offer a specific benefit or cause a particular behavior. Take the below advertisement from Guinness as an example. This is one of the most iconic Guinness adverts that won a number of prestigious advertising awards. Great advert right? But what are they actually advertising? That good things come to those who wait? That surfing is pretty awesome? That Guinness is the surfer’s choice of alcoholic beverage? Perhaps it’s that Guinness will make you a better surfer. There’s nothing specific in this advertisement. It’s an amazing example of brand advertising, but it doesn’t offer a specific need to purchase Guinness. At best it’s a conversation piece for when you’re down the pub. You’ll be ordering a drink, see Guinness and say, “Hey, do you guys remember the surfer ad? That was a cool ad, wasn’t it? Anyway, I’ll have a Chimay please”. Nonspecific, creative advertisements and copy might help establish a brand, but they don’t directly help sell products. Why? Because they’re not specific. They don’t highlight a benefit or establish a need to purchase the product. Now let’s take a look at a print ad for Guinness that takes a direct response influenced approach. 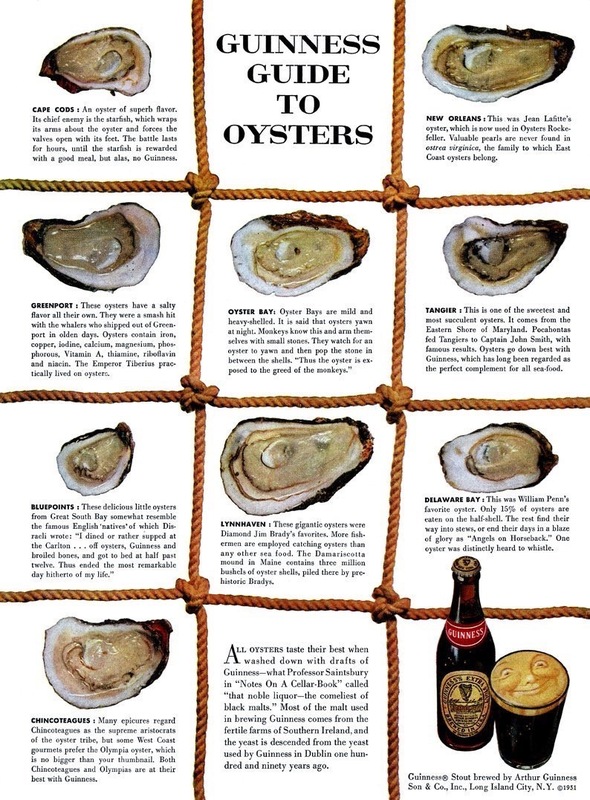 The below Guinness Guide to Oysters was one of the first ads produced by David Ogilvy when he set up his own firm. The above advert exhibits two key elements of effective copywriting. It’s targeted. This advert would likely have appeared in food magazines and so would appeal to the interests of the readers (there’s that audience research coming into play). It might have had a smaller circulation than the TV ad above, but it would appeal more directly to the sensibilities of those who read it. It has a specific, actionable CTA. If you’re eating oysters, drink Guinness because it makes them taste better, Simple. It’s getting people to purchase the product instead of getting them to talk about it like the nonspecific TV spot above. Specificity is key in general advertising and copywriting in particular. If you want to make the biggest impact, you need to properly target your copy and content to those it is most likely to resonate with. Any copy, advertising or design should be first and foremost based on real life statistics and results. I cannot stress that enough. However, a simple statement of facts or list of benefits isn’t exactly an engaging way to present a compelling argument. Advertising magic happens when the extensive research and results driven testing is coupled with a little creativity. When benefits and facts are presented in engaging stories, or when they creatively target the emotional triggers that elicit a specific action. You can produce effective copy with just a research-backed approach. However, if you want to produce incredibly compelling content then you’ve got to add that 20% creativity into the mix. It’s that 20% that takes compelling facts and figures and turns them into an irresistible message that elicits the action you want readers to take. When talking about conversions, most marketers focus on the here and now. They look specifically at list sign ups, immediate sales or their CTR, and that’s great. But those metrics don’t take one key metric into account. Sure, that one change in copy increased your sign up conversion by 30%, but what did it do in the long term? Did that 30% end up increasing your revenue? Did they have a lower churn rate? How long before they unsubscribed and did they actually purchase before leaving your list? These are all the things that you need to be tracking. You need to back up the research that leads to your conversion increasing copy changes with long-term, qualitative research and tracking. Never take your eyes of the long-term effects. Why? Because if those changes aren’t actually increasing your revenue or lowering negative metrics then what’s the point? You need to look at how you can keep the customers you convince to take a chance that you’re worth their attention in the long run. Not just because customer retention is vastly cheaper than acquisition, but because those customers you can hold on to in the long term are proven to spend more and bring better referrals. Making changes that increase immediate conversions is awesome. But if it’s not increasing revenue in the long run then you need to go back and reevaluate your initial changes. Do you want to create copy that’s a talking point for your readers or copy that sells products and drives revenue? If you ask business owners that question most will answer that they want to see an increase in sales. They don’t care how creative or positive the advertisement you create is, as long as it increases their bottom line. It’s for this reason I offer the below advice to those writing copy and those hiring copywriters respectively. If you’re writing copy, focus on research. Take a scientific approach. Learn the best formulas, understand your audience and base everything you do on objective facts and results. You can add your own creative flair later on in the editing phase but for now, do what the data tells you will work. If you’re hiring copywriters, I advise one thing. Stay away from those who market themselves as creative copywriters. You don’t want a writer who relies solely on creativity to handle your marketing. You want results, and to get results you need to find yourself a scientific, research backed writer who knows the importance of data, results and testing. Effective copywriting is not the result of expressing your own beliefs and opinions. It is the result of a scientific approach that includes everything from research and analysis to testing and improvement. Follow the proven formulae. Disregard your subjective opinion. Lather, rinse, repeat and make changes based on objective facts and result and keep an eye on how they affect long-term customer engagement and purchase behavior.